Of the very few fond memories I have of growing up in a stuffy suburb of Detroit, one that stands out is eating garbage fast food inside my idling car at a free parking spot offered to drive-thru customers. At KFCs in England, the act itself could lead to a parking fine—that is, if you take too long to eat your food. 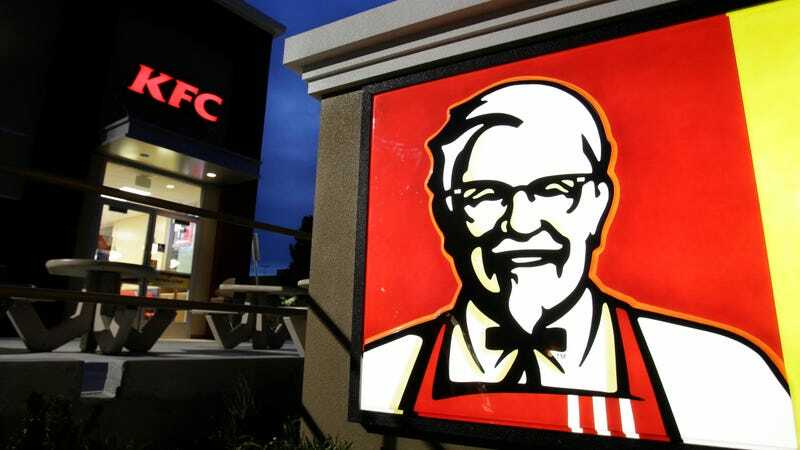 A pair of diners were recently fined £100 ($132) for being parked beyond the 45-minute free parking time limit at a KFC in Cambridgeshire, according to The Sun. Maybe the greasy chicken was especially good that day? Paul Nash, 46, received a penalty notice in the post following a visit there on Sunday Sept 3 which lasted 63 minutes. The father-of-two, from Haverhill, Cambs, has vowed to boycott the chain after being unaware of the limit. He said: “For me personally the charge in itself isn’t an issue... I could pay it, no problems at all but I’m going to fight it as far as needed. “Nobody expects a stopwatch to start from the moment you drive in to the moment you drive out. Good point! Does KFC have people on-staff who are operating stopwatches for customers who park in the free spots? Nash said his kids “consumed the meals at the pace our youngsters do.” Personally, I never took more than 15 minutes to eat fast food, but I’m not Nash’s kid. “I phoned the manager of the Haverhill franchise as soon as I received the parking charge notice. What is this? Are KFCs jam-packed in England, 24 hours a day, drive-thru lines winding through the parking lot, causing traffic jams on the adjacent roadways? Can’t we just let the people eat? They spent 23 Euros on the meal, but got charged nearly triple that amount in parking fines. The fines, charged by the company that owns that KFC’s parking lot, came from staying past the hour-long time limit. Howie appealed the fine—and won! Fair enough, I guess. But I hope customers take the fines under advisement and perhaps take the food home, park somewhere else, or just eat ... quicker? If you can? I don’t know.